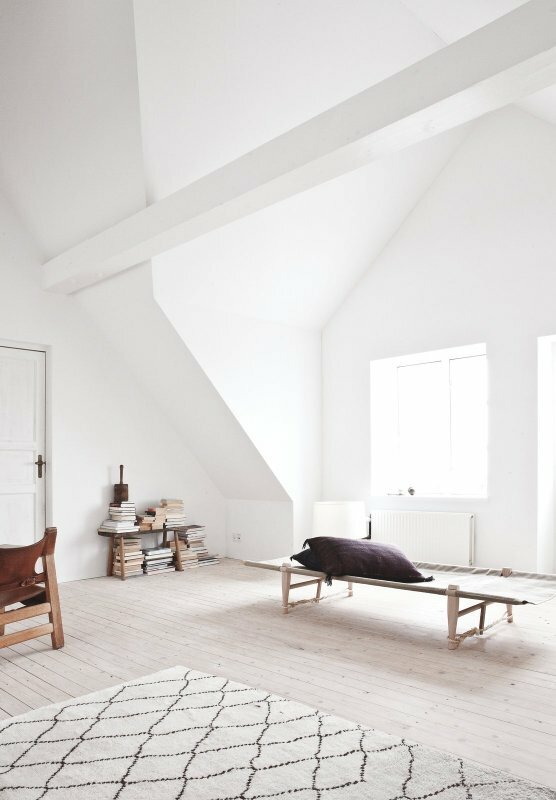 Loft atelier with exposed wooden trusses and oak plank floor. 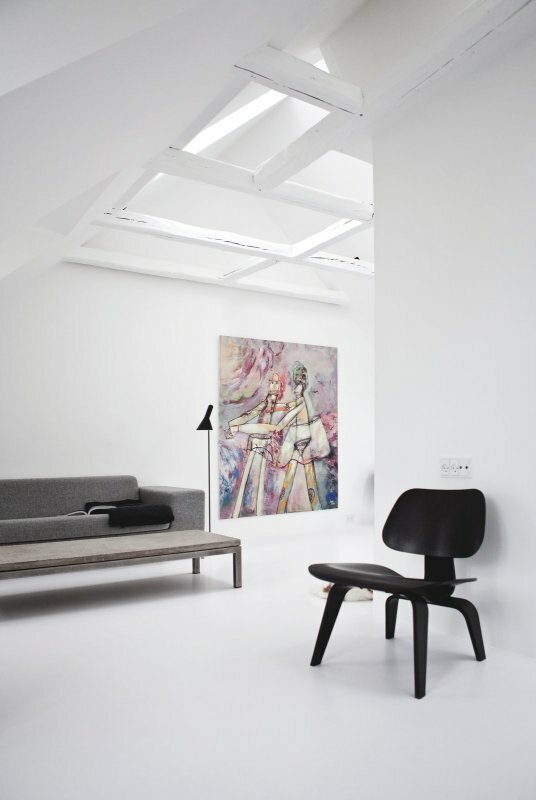 In the project Home & Atelier Grubbelhoeve in Banholt designed by Jeanne Dekkers Architecture. Photographed by Holly Marder.